This week was an important one for us at Cappitech. After participating earlier in the year in a Fintech Roadshow of Israeli firms that travelled to Luxembourg to learn more about the local financial and technology eco-system, our CEO, Ronen Kertis had the honor of being involved with Luxembourg Prime Minister, Xavier Bettel’s trip to Israel. As part of the trip, which included a visit to Bettel’s Israeli counterpart, Binyamin Netanyahu, a fintech evening took place at the Tel Aviv Stock Exchange (TASE) and included cooperation from fintech hub, The Floor. 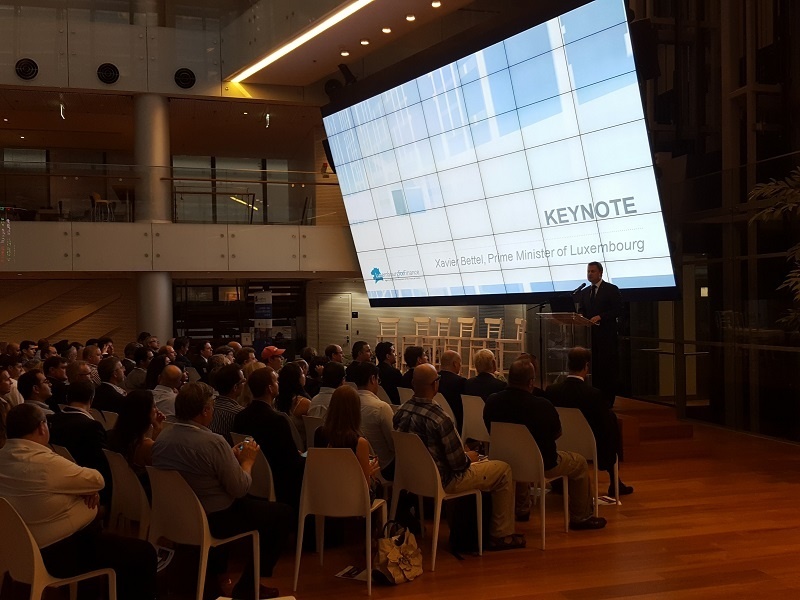 The evening included a keynote address from Prime Minister Bettel as well as a presentation about Luxembourg from Nicolas Mackel, CEO of the Luxembourg for Finance group. Concluding the evening, and including participation from Ronen Kertis was a panel titled “Digitalization in International Securities Listing and Distribution”. Moderated by Frederic Becker of Luxembourg for Finance, the panel featured an interesting cross of financial market participants. Representing Israeli firms was Cappitech and Igal Bareket of the TASE. Alongside them were Paolo Brinardello from Fundsquare, whose firm provides distribution solutions to Luxembourg’s massive fund industry; Nicolas Buck, CEO of Seqvoia, a provider of fund management software; and Marc Robert-Nicoud, the CEO of Clearstream, a clearing and settlement provider. 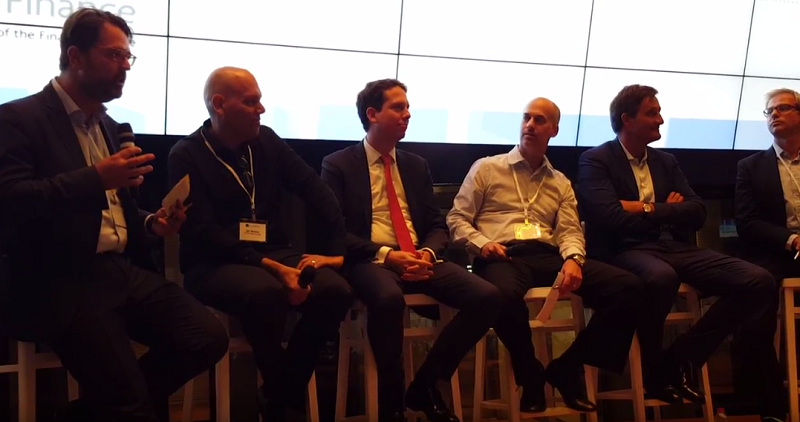 While the panel covered multiple forms of digitalization, conversation about blockchain technology quickly dominated the discussion with Becker asking each member for their viewpoints, which ultimaltely led to an interesting array of answers. View from an exchange Answering from the angle of incorporating new technology within an exchange, Bareket focused on the need to provide an open framework. He explained that when it comes to the future "the only thing you know is that you don't know anything". Therefore, exchanges like his that already have a marketplace of members in place need to leverage this advantage and open themselves to outside innovation. Bareket added that in their case, they have partnered with acclerators and fintech groups like The Floor, as well as sponsoring hack-a-thons. The result, is that this is allowing them to have hands on experience to evaluate alternatives to the current capital market structure such as trading and settlement using the blockchain and raising funds using equity crowdfunding. These ideas are then shared internally within the TASE and to its members for feedback. Concluding his thoughts, Bareket cited that it took Agfa and Kodak ten years to be fully disrupted by digital cameras, and two years for Blockbuster to fall apart from Netflix and streaming video. Therefore, the world is moving faster than before, and exchanges around the world need to be aware of innovation such as the blockchain and how quickly it may change the industry. Settlement trends - With Clearstream entrenched in the post-trade settlement universe, Marc Robert-Nicoud explained that his industry's two biggest trends are dealing with changing regulation and new technology. In regards to blockchain, he stated that "it fits both trends". With new regulation being implemented and increased desires for transparency, blockchain technology can act as the medium to increase efficiency of settlements within marketplace participants. The public nature of the protocol also provides easier ability to monitor risk for regulators. As a result, Robert-Nicoud explained that the blockchain his firm is both acquiring firms involved in blockchain technology as well as implementing internal units to focus on new technology. Blockchain, the cloud and big data - Covering which technologies financial firms need to be involved with, Kertis cited the blockchain as well as cloud computing and big data. His view on the blockchain followed one which Cappitech published earlier in the month, in that it is a strong fit for handling trade reporting regulation. Specifically, in regards to transaction reporting frameworks like EMIR (more on EMIR) and MiFID II in the EU, the regulators are looking to analyze counterparty exposure, execution quality and whether trades reported by each side of a transaction match. As such, by embracing blockchain technology and its dual sided reporting structure, it would be easier for companies to spot when their trade reports don't match their counterparties as well as providing more transparency to regulators. On the other hand, Kertis did state that the blockchain needs widespread adoption to be meaningful in the post trade industry. If too few firms are reporting trades to it, then it impedes the ability to review trade matches and risk exposure. Need to practical - Taking a practical view was Nicolas Buck, Seqvoia. He explained that "lots of technology work is caused by regulation coming out of Brussels". Therefore, for many firms, they are being forced to be reactive instead of innovative. The result, is that Buck explained that his firm isn't looking at the blockchain, machine learning and big data due to the technology staff handling other initiatives related to complying with existing and upcoming regulation. He also found that this sentiment was similar to that of many other institutional investors of which aren't paying too much to blockchain. Buck added that in replace of their of involvement in the blockchain and other technologies, they are seeking outside fintech startups to partner with. On this, he explained that the big question they are facing is who can create proper bridges to connect innovative technology with existing financial firms that are 'win win' for everyone. An eye on innovation - For Brinardello and Fundsquare, he explained that an important aspect for fund managers is understanding new trends and innovation within finance. This may include new derivative products that are becoming popular, new ways to distribute their funds, and cross-currency denominated products. In this regard, blockchain is a form of innovation that needs to be analyzed to see how it can used to help fund managers with their business and investments.